Negative SEO is always a hot topic, since the idea that a competitor can merely point a ton of crappy backlinks at a site to see it penalized is always a scary one to site owners. John Mueller was asked about spammy backlinks from a negative SEO perspective, specifically as it relates to Penguin. 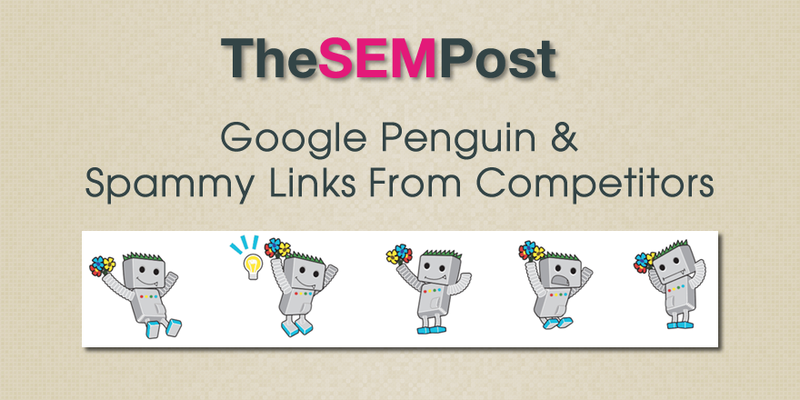 Since Penguin looks for spammy external links, and most webmasters now know it will release, what is risk of someone “building” spammy links to hurt a competitor? Is google being too transparent on what Penguin does? From our point of view, we have a lot of practice in regards to handling kind of these spammy links that competitors build to each other’s sites. And we do know that this is a practice and we do take it into account in all of our algorithms when we, especially when we look at things like links. So that’s not something where I’d really worry too much about that with regards to future updates there. I know the people that are working on these algorithms, they’re really well aware of this kind of situation and we have a lot of data to show them on specifically what things to watch out for, and what things to keep in mind when it comes to these updates. Negative SEO and both Penguin and link related manual actions are often talked about, but just as often, much of the so-called negative SEO attacks are often a result of a bad SEO agency or a site owner or employee who doesn’t know better, and negative SEO is a convenient excuse in hopes Google will take pity and lift the penalty. Likewise, there are many stories about competitors who attempted to throw a bunch of bad links at a competitor, but only resulted in improving that competitor’s rankings, instead of hurting it or causing a manual action. With real time Penguin coming soon, there should be less fear about it since webmasters will no longer have to wait a year or more in order to recover from bad backlinks, whether from negative SEO or their own doing. And it should be easier for webmasters to identify a potential drop being penguin related when looking at their link profiles.